Ron Bloom was named the Manufacturing Czar for the United States by President Barack Obama on September 8, 2009-two days after communist "Green Jobs Czar" Van Jones resigned under pressure. To understand Ron Bloom's assigned role, it helps to know the environment he comes from. The Obama administration has emphasised Bloom's investment banking and business background. But Bloom has spent far longer in the labor and socialist movements than he has on Wall Street. There is even some evidence that Bloom specifically went into banking, in order to better serve organized labor. Like Obama himself, Bloom has moved in circles close to Democratic Socialists of America (DSA)-an organization far more "socialist" than "democratic". To illustrate DSA's radicalism I cite their journal Democratic Left, Spring 2007. The article by Detroit DSA chair and National Political Committee member David Green supports the Employee Free Choice Act (EFCA)-or "card check". The Employee Free Choice Act (EFCA) provides an excellent organizing tool through which we can pursue our socialist strategy while simultaneously engaging the broader electorate on an issue of economic populism. Green explained how DSA could play a role in getting the Act passed through the Senate after the 2008 elections. The fact that we face an uphill battle in the Senate does not detract from the value of DSA doing organizing work around EFCA. At a minimum, we can force conservative senators to place themselves on record as opposed to EFCA. This would then make these incumbents even more vulnerable in the 2008 elections. If we replace only a few of these anti-labor senators in 2008, we should be able to pass EFCA in the next Congress. DSA could play a role in organizing support for EFCA. We have locals and activists across the country capable of organizing successful public events – as demonstrated by our Sanders house parties. We have “notables” capable of attracting non-DSA members to public events. We have academics, writers and speakers capable of elucidating public policy issues in clear and simple language. We have a solid relationship with several major unions-UAW, USW, IAM. Green went on to explain how DSA's EFCA campaign could work-DSA could organize public meetings in coalition with other groups, including the AFL-CIO’s Voice at Work Department, state AFL-CIOs and central labor councils, American Rights at Work, America Votes, Progressive Democrats of America, Committees of Correspondence, ACORN and state Democratic parties. Green also listed individuals who could be invited to speak in support including John Edwards, John Sweeney , Cornel West, Barbara Ehrenreich, Leo Gerard, Ron Gettlefinger, David Bonior and openly socialist Vermont Senator Bernie Sanders. Note that Green emphasises DSA's ties to USW-United Steel Workers of America- also that the list of speakers included four DSA members AFL-CIO president John Sweeney , Cornel West, Barbara Ehrenreich and David Bonior, plus Steel Workers Union President Leo Gerard. Interestingly it was Leo Gerard who recruited Ron Bloom into the USW in 1996. Bloom initially served as an adviser to then union president George Becker, then to Leo Gerard when he assumed leadership in 2001. George Becker was close to DSA-serving on the board of the Economic Policy Instiute under DSA member Larry Mishel. In 1996 Becker also helped found campaign for America's Future-with DSA linked activists John Atlas, Barry Bluestone, Julian Bond, Richard Cloward, Peter Dreier, Barbara Ehrenreich, Jackie Kendall, Nelson Lichtenstein, Steve Max, Jay Mazur, Gerald McEntee, Harold Meyerson, Larry Mishel, Frances Fox Piven, Joel Rogers, Richard Rorty and John Sweeney. 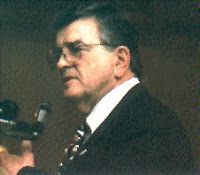 In 1997, George Becker was honored by Chicago Democratic Socialists of America at their annual Debs - Thomas - Harrington Dinner-the first Steelworker to be an honoree at the event. George Becker spoke with pride about his birthplace, Granite City, Illinois. In the 1920s, they had a Socialist Mayor and a Socialist Council and Eugene Debs was an honored speaker at many events. He also spoke of a relative of his wife, in Missouri, who ran for office as a Socialist when Norman Thomas ran for President." Leo Gerard, Ron Bloom's most recent boss, is also well within the DSA "orbit". Gerard serves on the board of the DSA led Economic Policy Institute and on the advisory board of Wellstone Action with Julian Bond, Gerald McEntee and Frances Fox Piven. Wellstone Action is named after late Minnesota Senator Paul Wellstone, once faculty adviser to a DSA student group. Leo Gerard also serves on the board of the Apollo Alliance with Joel Rogers and SEIU vice president and DSA member Gerry Hudson. It is unclear if Gerard has ever worked with Apollo founder Van Jones, or New York director, former Weather Underground terrorist leader Jeff Jones. 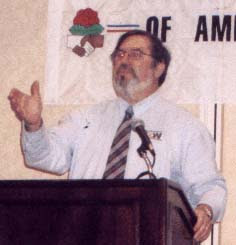 In May 2007 Chicago DSA honored Leo Gerard with its annual Debs - Thomas - Harrington award- the second Steelworker to be an honoree at the event. Ron Bloom's background is similarly socialist. Much of Bloom’s childhood revolved around Habonim "a progressive Labor Zionist youth movement that emphasizes cultural Judaism, socialism and social justice." 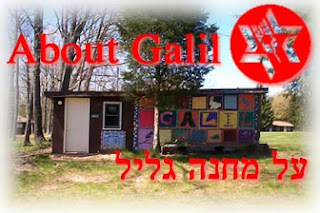 At age 10, Bloom was sent with his two siblings to Camp Galil, a movement-run summer camp in Pennsylvania. He returned each season for the next four years-eventually becoming a camp counselor. After graduating from Wesleyan University in 1977, Bloom worked as an organizer and research and negotiating specialist for the SEIU-working for a time under John Sweeney. He later worked as executive director of the Massachusetts Coalition for Full Employment and as New England Regional Director of the Jewish Labor Committee. Incidentally the contact for the Detroit Jewish Labor Committee, Selma Goode, works closely in Greater Detroit DSA, with David Green, author of the Democratic Left tract which opened this post. While at SEIU, Ron Bloom came to the conclusion that unions lacked the technical skills to negotiate with management teams and their advisers at the bargaining table. "Unions were being backed into corners by companies and couldn't understand on a sophisticated level, the company's arguments...Labor needed to be armed with the equivalent skills." Bloom's next mission was to learn the ways of Wall Street. Bloom went to Harvard Business School, then became an investment banker with Lazard Freres, in New York. According to future business partner Gene Keilin. "He recruited himself to Lazard...Unlike most young bankers, he was fully formed by the time he got here. He worked really hard. He came as a very strong technical analyst. He understood valuation and financial instruments. The fact is he was a 24x7guy long before that term was ever coined." After a period in partnership with Keilin, Bloom took a pay cut in 1996 to join the Steel Workers Union as a Special Assistant to the President and later head of the Union’s Corporate Research, Industry Analysis and Pattern Bargaining Departments. That Wall st did not dampen Bloom's socialist zeal is evident in an article he contributed to the Fall 2006 edition of DSA's Democratic Left. Based on a remarks delivered to the metal industry’s Steel Success Strategies XXI conference in New York in June 2006, Bloom revealed a strong antipathy towards America's traditional competitive free enterprise system. The Steelworkers have some advice for industry execs on how to make sure there’s plenty for both shareholders and workers. The theme of this advice will be really quite simple – be hard-headed and pragmatic capitalists – run the companies and actively participate in the political process on the basis of what is good for your shareholders – and not based on outmoded nostrums about unions, free enterprise, deregulation, free markets and free trade. In today’s world the blather about free trade, free-markets and the joys of competition is nothing but pablum for the suckers. The guys making the real money know that outsized returns are available to those who find the industries that get the system to work for them and the companies within those industries that dominate them. The starting point is that companies need to get along with the union. Companies that establish a constructive partnership with their unions do far better for their shareholders than those that do not. The growth of China and India can be a great opportunity. But not if we, as Lenin so aptly put it, sell them the rope with which to hang us. Steel industry managers need to repudiate the race-to-the bottom model of globalization. We need world trade that brings the bottom up, not the top down, and we need to tell the American government to do what every one of its trading partners does – stand up for those who operate on their soil. As Manufacturing Czar Ron Bloom will almost certainly push for a more centralized, unionized, government dependent manufacturing base-exactly what Democratic socialists of America are calling for. He will almost certainly try to sell big business on socialized health care to make business more competitive. He will drive the labor union agenda from on high. Bloom will almost certainly work closely in this with Labor Secretary Hilda Solis, who also has DSA connections. The pair will also be aided by John Bonior-a paid up Detroit DSA member (and colleague of David Green) who President Obama has delegated to re-unite the US's two major labor federations AFL-CIO and Change to Win, under one banner. Three of the most influential union affiliated officials of the Obama administration have connections to Democratic Socialists of America-an organization whose "goal as socialists is to abolish private ownership of the means of production". This doesn't appear to worry the Obama administration-which is well known for its vigorous vetting procedures. Perhaps it concerns you a little? Some of your links were very useful Ben. I just have a bit more experience at this game is'all. Great post, Trevor. You have again done yeoman's work in fleshing out the radical network within the Obama administration. We knew this would happen if he was elected. The world should worry. I guess so! Military spy background? If I had the means I'd try to get you on a plane to NY to aid in the reformation of the house commission on unamerican activities. An honorary citizenship to you. Another awesome post Trevor; you do have the knack for digging up information, connecting the dots and backing it all up with their own words. Sadly there are many Obama-bots here in the U.S. who still won't believe they voted for a dedicated Marxist. They bought the "Hope and Change" hook, line and sinker due to their ignorance of political world at large. All they know is "Hate Bush" and believe everything bad ever said about Bush; Even though Bush supported some of the left's "To do" list. Bush was not a Conservative, to me he was a quasi-socialist, with a little "s," yet the left demonized him as if world history started January 2001. Don't forget, Ron Bloom also is a supporter of the Israeli Left, Zionist Labor Movement as well. You may want to look into something like that. And now we are all being accused of racism. This week a new bomb has been dropped. The Democratic talking point is now full-on RACISM. I mean, when it mattered to him, he held the most ridiculous 'beer summit'. And now that racism accusations are coming from ALL corners against over half the country who oppose him, nothing. He's allowing it. Ben-no military or spy background. Definitely need to get the government back in the subversive exposing business-but better yet we need citizens taking responsibility for national security. Just as we're trying to do here. do you work for glenn beck? just wondering. and yes the signing up for news letter is not a bad idea at all.